AL BUSTAN - Civil & MEP Contracting Co.
Al Bustan - Civil & MEP Contracting Co., Bahrain, Middle East. 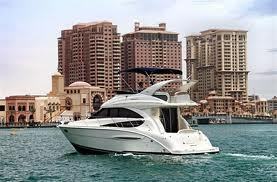 Worked with Al Bustan as General Manager from Mar.2009 till Oct.2011. To overall managing Projects in Civil, Structural, Architectural, Business Development & planning, Budgetary, Interior Design concept implementations & Interior Fit-out & Services, Project Management of Residential, Commercial, High-rise buildings/ apartments, Hospitality, Real estate, Retail and Institutional projects. I was able to increase the turnover of the company four folds and leading the team of people to become prestigious Civil & MEP Contracting Company in Kingdom of Bahrain. This Company undertakes industrial shutdown & maintenance Contracts, construction, Electro-mechanical Contracting, trading, fabrication, Fire & Safety besides whole range of MEP services of Industrial & Hi-rise buildings. Pre-Engineered Steel Building (PESB) industrial/Warehouse construction and residential Apartments. Ø2 Industrial Warehousing Projects, Salman Port City, Bahrain. ØShabbir Terraces, Apartments. Manama City, Bahrain. ØKraft Foods, various jobs, Salman Industrial City, Hidd, Bahrain. ØDadabhai Tower, Service Apartments, Manama, Bahrain. ØHidd Power Station – Chimney Stack work, Hidd, Bahrain. �Heading and lead the total team, Consultants & all concerned departmental head and reporting final summery to the assigned vertical. �Takes a close look at the day-to-day operations of the business, tracking, analyzing budgets, cash flows, forecasting and performance to ensure that project being managed efficiently. �Overseeing the execution and monitoring of the entire project right from initiation to final handover and organizing all resources under purview to complete project as per prescribed specifications and stipulated deadlines. �Develop a strategic plan to attain the company's objective and to promote revenue, profitability and growth as an organization. �Oversee company operations to ensure efficiency, quality, service and cost-effective management of resources. �Solicit new business within the region through business development activities. �Plan, develop and implement strategies for generating resources and revenues for the company. �Manage customer relationships by continuous communication and increased service levels to ensure customer requirements are met and are in line with the contractual obligations. �Implement a set of guidelines business processes and systems to enhance the efficiency of the company. �Review financial reports/statements to determine the progress made in attaining the business objectives and to submit a progress report. �Promote the company through personal visits to the customers and participation in the common events. �Handling RFP/RFQ's, sourcing and appointing vendors, ensuring all sub-contracted jobs were completed as per sequential time slots allocated. �Liaising and coordinating project affairs with different parties to the project like client, consultants, operators, contractors and sub-contractor in addition to ensuring agreement & cohesion among all parties throughout the project. �Studying, qualifying and recommending tenders posted for the completion of various works on the project based on the dynamics of cost and technical feasibility, techno-commercial proposals, comparison, awarding and set the contracting closure. �Value commitment for Delivery Promises, Honesty in all dealings, Humility in behavior, Respect for each other, Swift, Decisive in action and ensure Fair dealings for everyone. �Tracking the financials & budgetary during all stages of project, preparing the cash flow statements, schedule tracking and management, generate the revenue and control over cost. �Performing project planning, costing and resource project co-ordination and operations management in addition to tracking project progress as perestablished milestones. �Exposure to multicultural environment with an understanding of the business values in the GCC Countries. �Preventive and breakdown maintenance of Transformer, D.G. sets, U.P.S. systems, Electrical power system, Fire alarm systems, Fire hydrant system. �Conducting site meetings, documenting observations and circulating MOM to the concerned authorities. �Enforcing safety regulations and overseeing its implementation. �Procurement related issues handling independently for both client (Bought out Items) and vendors. S & T Co. is a leading Interior Fit out Company in Oman with ISO 9001:2008 & under going OHSAS 18001 certification. S & T’s P. N. C. Menon founder & Chairman of Sobha Group is Ranked 8th in Forbes,“100 Top Indian Leaders in Arab world 2014”. S &T’s Interior division alone has 1400 employees who are working round the clock at Oman’s Joinery factory. S &T Company has offices in Bahrain, Qatar, Dubai, UK & India. Assisting General Manager - SCM in his day to day activities like overseeing all project procurements, guide the procurement team of Asst.Managers, Engineers, Logistics team. Refining and implement procurement strategies and purchase schedules while providing material / logistic support to Projects. Accountable for guiding to maintain proper inventory to avoid delay in manufacture & execution of the ongoing projects. Negotiate Techno-Commercial contract terms to get the best deals. Develop new vendor sources for cost-effective procurements for services & goods. Generate updated MIS reports by using ERP (Axpert) to streamline material management, Cost Savings, Vendor Quality Assurance for facilitating the decision making process. Co-ordinate between Projects & Planning depts. regarding requirements, reconcile material from one project to another as well as reconcile statement of movement of material from one project to another. Develop, implement major procurement strategies/purchase schedules thereby ensuring accomplishment of organizational objectives while providing material/ logistic support. Accountable for maintaining proper inventory of certain items to avoid delay in production & execution of the assigned task. Negotiate contract terms to get the best business deals. Develop alternate vendor for cost-effective procurements & optimized inventory hold up. Prepare strong and reliable MIS reports to streamline material management, Cost Savings, Vendor Quality Assurance operations for facilitating the decision making process and liaison with Management. Co-ordinate between Projects regarding Material & Machinery requirements, reconcile material from one project to another as well as reconcile statement of movement of material from one project to another. Worked with Arabian MEP contracting WLL. from May 2008 till Feb 2009 as Asst. Procurement Manager (MEP, Construction) and reported to Gr. Procurement Manager, Project Director. Lead the team of 10 staff of Electrical & Mechanical Engineers, Purchase & Logistic Officers. Managing the project procurement of MEP items worth US$ 50 millions like Electro-Mechanical. Plumbing, Drainage, Fire Fighting and HVAC items. AAC is one of the leading MEP Contractor with ISO 9001:2008, ISO 14001:2004 & OHSAS 18001:2007 certified Grade "A" company for execution of Electro-Mechanical, Plumbing, Drainage & HVAC Contracts for Construction, Oil & Gas, Water & Energy Sectors. Al Malki Group with it’s base in Qatar & UAE, employs more than 3,000 manpower. Township.-Valued at USD 300 Millions. 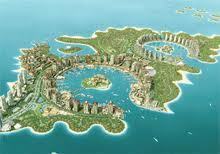 locations, Qatar.-Valued at USD 100 Millions. profile sea-front development township.-Valued at USD 70 Millions. work. – Valued at USD 60 Millions. �Plan and order materials in co-ordination with the project division to ensure all project requirements and schedules are met. �Handling RFP/RFQ's, sourcing and appointing vendors and ensuring all the jobs of sub-contracted were completed as per sequential time slots allocated. Follow- up/ receiving quotations and making price comparisons. �Studying, qualifying and recommending tenders posted for the completion of various works on the project based on the dynamics of cost and technical feasibility. �Follow up and expedite the delivery. �Cost reduction by procuring materials from right source in right time. �Conduct Vendor evaluation and Vendor ratings. �Develop new Vendors considering their product quality, cost and capability. �Ensuring all contracting and procurement activities are conducted in accordance with policy and sound, ethical and business practices. �Introduced minimum stock level system in stores by reducing duplication PO process. �Actively participated in site meetings with Clients/Rep. to resolve the procurement issues. �Involved in site tour with project team regularly to take the stock of the situation. I had worked as Senior Procurement Engineer and I was assisting my HOD in Procuring Project items/materials from local/Foreign Vendors. Galfar is one of the leading Engineering Contractor with ISO 9001:2000 Quality Management Certificate & OHSAS 18001:1999 Safety Management System Certificate for Execution of EPC & Commissioning Contracts for Oil & Gas, other Sectors includes Civil-Mechanical-Electrical-Instrumentation works. Abu Dhabi Oil Refining Company’s(TAKREER)Sea Water Facilities Expansion Project worth US$ 270 millions. �Weekly, monthly reporting, Minutes preparing & circulation and documentation. Coordinated resources, expedited material submittals, handled procurement dept. �Handling RFP/RFQ's, sourcing and appointing vendors and ensuring all the jobs sub-contracted were completed as per sequential time slots allocated. Follow up/receiving quotations and making price comparisons. �Studying, qualifying & recommending tenders posted for completion of various works. �Actively participate in meetings with Clients/Rep. to resolve the procurement issues. Led the small scale enterprise, Interior Decoration & Fit-Out Company in Mysore to become well known name in and around the region. As a General Manager, developed good clientele and executed many Residential Villas and Apartments Interior Decoration contracts & also successfully completed large scale Office(IT/Software)Projects in Bangalore & Mysore. While on Job co-ordinated with Architects, HVAC Vendors, Electricians, Plumbers, Masons etc. Able to generate large number of Orders/Projects. The work carried out during this period ranging from False Ceiling In Gypsum, Partitions in Wood/Glass/Gypsum/Aluminium, Furnishing work like Curtains/Blinds/Sun Control Films, All types of Carpentry work inclusive of Furniture/Upholstery, Structural Glazing, ACP Wall Cladding, All kinds of interior/Exterior Painting, Polishing, Floorings in Vinyl/ Parquet/carpets/Vitrified Tiles and Computer Work Stations. An engineering EPC turnkey project company under collaboration with LURGI, Germany to handle 300/600TPD Sulphuric Acid plants. Assisted department head and independently handled all project procurement and export of Company’s first overseas project, a complete 300TPD Sulphuric Acid plant to Map-Tha-Phut, Thailand. Looking after Import & Export, complete liasoning & Documentation work with Directorate General of Foreign Trade (DGFT), Shipping Agents, IMPEX Office. Local purchases, Importing of MS, CS, SS and Boiler Quality steel plates and exporting finished products to overseas work site. Successfully completed the Project. Led the group of Purchase, Stores & Logistics staff of the company. Responsible for procurement of raw-materials, imports, consumables and stores & spares. Developed locally many imported machinery spares thus saving foreign currency and long lead import time. Company manufactured TIG, MIG welding and CNC Plasma cutting machines under know-how from L-TEC, USA. Contributed sufficient net profits to P/L account of the company by properly utilizing my experience of VendorDevelopment activities. Introduced many cost saving systems in stores Department. Travelled extensively in India to source cheaper alternate materials & suppliers. HM manufactured Heavy Commercial Vehicles like trucks & buses under collaboration with ISUZU Motors of Japan. Myself involved in Quality Testing of vendor supplied parts at Metallurgical Lab. & inspection of incoming parts at vendor’s premises. During this period I had lot of opportunity to travel within India to vendors premises which gave me huge exposure to vendors operations/technology thus helped Vendor Development team at factory in the process. 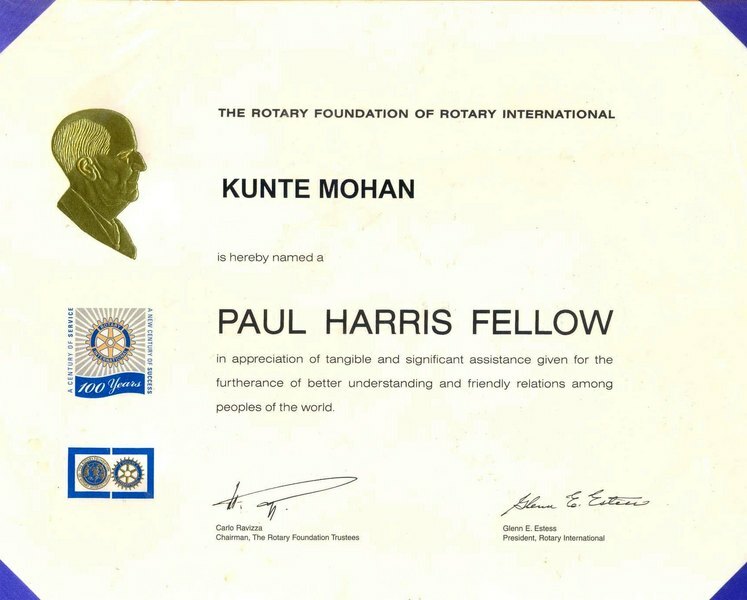 I was continuously trained under Japanese expert’s guidance. After my first Job at Mysore, joined this team, a leading manufacturers of Automotive & industrial power transmission Chains. Involved in setting up/improvement of Heat Treatment process for production dept. & Tool Room and assisted R & D dept. in their research/development work. Introduced Sub-Zero treatment in their Coimbatore & Mysore factories on large scale to salvage and bring down the rejection level below 2% thus saving huge amount to company, previously which was discarded as Scrap. Part time Interior Decoration evening Course for 6 months. Learning all aspects of designs, colour themes, Furniture & Furnishings, Finishes and Textures etc. Computer Skills: Ø Internet , M.S. Word, Excel, Microsoft Outlook. E- Commerce Ø ERP based system & knowledge of SAP/ORACLE related Material Management functions. Skills: - Technically competent, have well developed negotiating skills and will be a contributing key member of the management team. - Outstanding leadership qualities and strong believer of team work. - Proven ability to develop relationships and influence up, down, and across organizational lines. - Excellent written and verbal communication skills.Good analytical, problem solving skills; ability to make timely, effective, fact based decisions. - Relevant experience in the Gulf region & China sourcing is extremely advantageous. Result - oriented leader with 30+ years of experience in Industry. History of success in management and procurement roles. Technical with extensive international hands-on working experience, lived in different countries and working with people of various cultures. An engineer with 30+ years of diverse experience and core competencies in almost every facet of the Industry which extends from global procurement, local purchasing, vendor development, quality assurance, Production experience to project management in major construction, automobile and manufacturing & EPC project companies. Seeking a suitable position to harness inherent benefits of acquired experience and engineering know-how to boost organizational growth. Being a committed team player, want to be part of a renowned Organization, to contribute towards the growth of the Organization, based on my expertise and to further my personal capabilities by learning from the new exposure within the structured framework of the organization. Freelance journalist & Member of Mysore Dist. Journalist Association (MDJA). Worked as part time Editor of Kannada daily Evening news paper "ASHOKA"